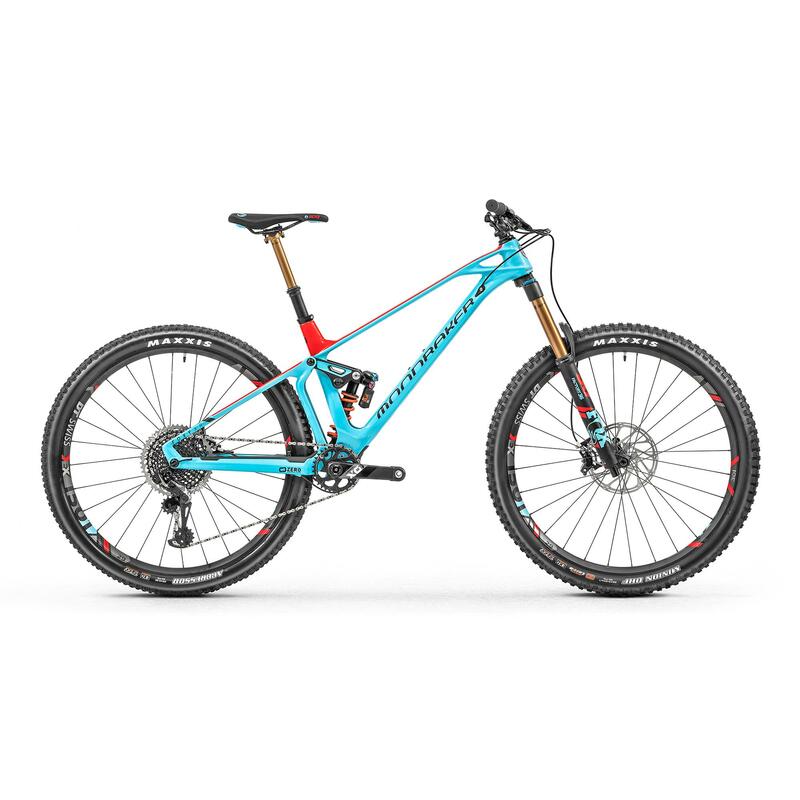 Building on the platform of the already lightweight and high performing Foxy 27.5" Mondraker have refined and evolved their flagship bike to create the all new Foxy carbon 29. Constructed from their lightest and highest quality Stealth Air Carbon the new 29er has been tweaked and honed creating a truly amazing bike. Based on new 29er specific Zero Suspension kinematics and optimised Forward Geometry the new Foxy 29 truly showcases 15 years of Foxy development. Trail, All Mountain, Enduro? You name it. Mondraker's most innovative, most efficient and most capable mountain bike is set to deliver on any trail. 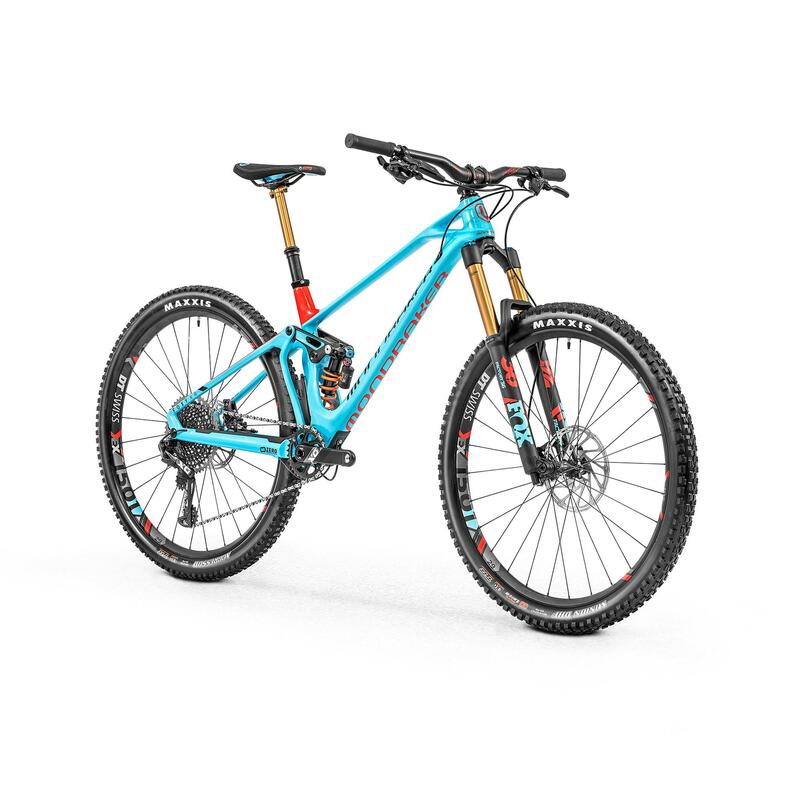 Foxy Carbon 29 is THE wonder BIKE and knows no barriers, with total versatility and pushing the boundaries from Trail to Enduro Racing ideal for any type of use and rider regardless of their skills. 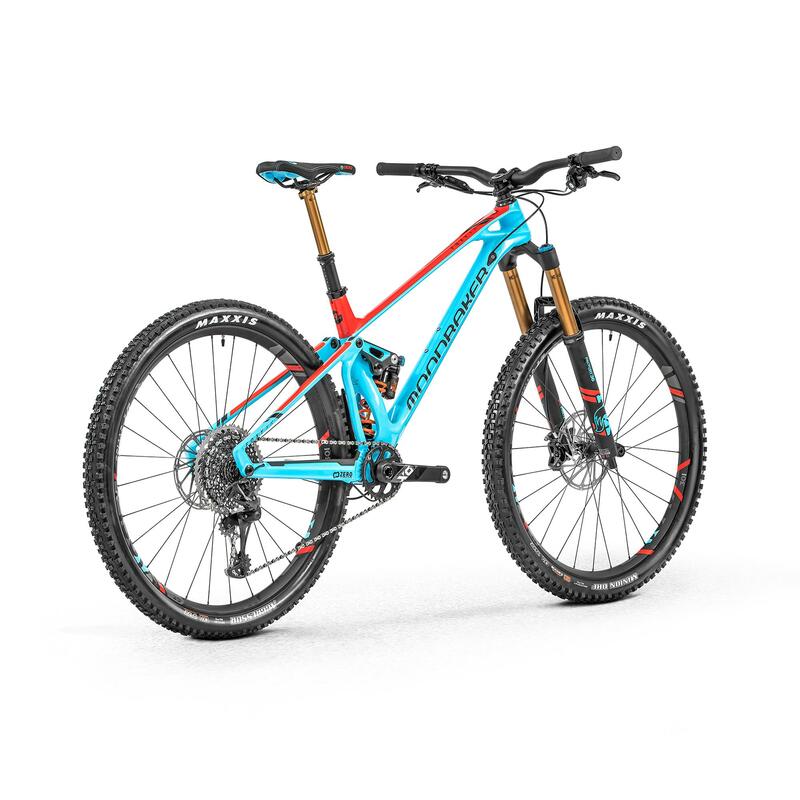 Foxy Carbon 29 takes versatility, suspension and pedalling performance to a whole new level in a lightweight & cutting-edge futuristic design package with the best Mondraker racing experience, their core values and breakthrough technologies applied. 4 sizes: S (15"), M (16,5"), L (18,5"), XL (20"). Stealth air technology on all models. Zero suspension system technology with metric trunnion shock. Adjustable geometry +/-1° head angle – Inc on the XR bike. Shorter fork offsets – 44mm offset rather than 51mm. HHG internal cable routing: hidden housing guide. Oversized pivot thru axles and enduro bearings . Boost standard hub spacing – 12x148mm & 15x110mm. Integrated and removable rear shock fender. Exclusive downtube and chainstay protectors. ISCG05/ BB73 threaded bottom bracket/ tapered headtube/post mount rear brake caliper. * Lifetime warranty limited to original owner. T&Cs apply. 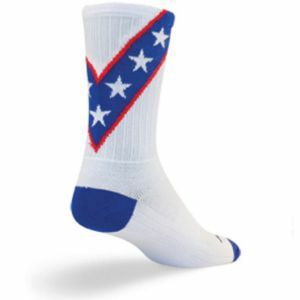 For model specific sizing please click here*. *Please note all sizing information is to be used as a guide only. If you are unsure which size bike will be best for you, please contact your local Mondraker stockist who will be more than happy to assist you. headset Onoff Titan Internal tapered 1-1/8"->1/5"
Please note: Specifications are subject to change without notice.